One sip of this warm delicious drink, will instantly give you insight into how Scandinavian people cope will the long, cold nights in this winter wonderland. 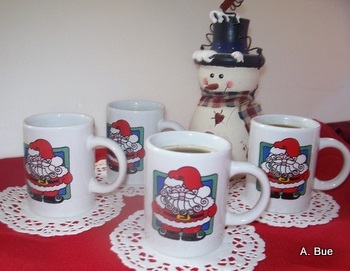 Around the Christmas Holidays, I use festive Christmas mugs to serve this delicious aromatic drink from Scandinavia. The rich blend of spices, nuts, dried fruits and wine is guaranteed to warm you up and make you happy. add to pan. Add raisins, prunes, cinnamon sticks and almonds. Bring mixture to a boil and let steep for 45 minutes. Add wine and heat. A crock pot is perfect to keep this Viking drink nice and hot. Ladle into mugs and serve. 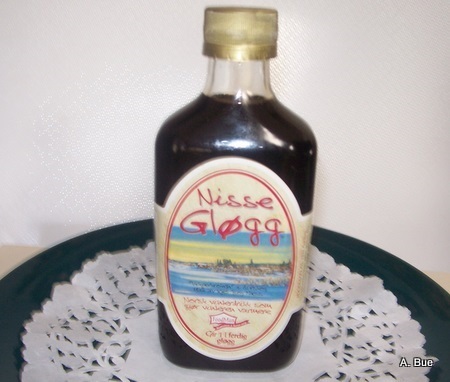 In Norway, you can buy bottles of this festive Viking drink mix and all you have to do is add wine and/or red grape juice if you do not wish to add alcohol. Add nuts, dried fruit and cinnamon sticks to the drink before serving. I make the bags by cutting food grade cheese cloth into squares; fill them with the spice mix and tie each bag at the top with food grade string or plain dental floss.